Quantum Mechanics has been described as one of the crowning achievements of the 20th Century, a theory that has been validated to a precision of one part in 108. The central concept of this new theory is that of the quanta – the idea that at the smallest of scales everything is discrete. But where did such a dramatic concept arise from? This implies that we would expect most of the energy at higher frequency, and this energy diverges with frequency. If we try and sum the energies at each frequency we find that there is an infinite energy in ths system! This paradox was called the ULTRAVIOLET CATASTROPHE. You can see that if the frequency is low then the average energy tends towards the classical result, and as frequency goes to infinity we get that the average energy goes to zero as expected. 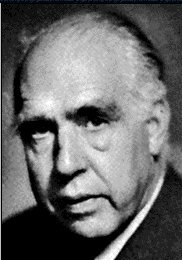 There was a further breakdown in classical physics to the observed discrete line spectra specific to each atom. It was widely accepted that this was due to transitions between atomic energy levels. This presented a considerable problem to classical physics as it predicted that accelerating charges emitted radiation. It would thus seem that the energy orbital would be unstable as the electron would slowly spiral towards the nuclei as it emitted radiation. There was no classical model which could explain stable electron orbitals. This magical conjuring act was able to accurately describe the energy levels giving the exact energies of the lines observed in the atomic spectra. Although this gave the exact energies required, a better explanation for these energy levels required further work, and the use of Schrodingers Equation, of which we will learn later on. Quantum mechanics is a probabilistic theory, and it is this randomness that places limitations on the accuracy of characterizing a system. Let us consider a particle, say an electron, moving through space. We describe the electron's motion in terms of its position and momentum. Classically we can measure both quantities to infinite precision. 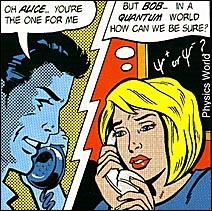 However in Quantum Mechanics we can never know both quantities absolutely precisely. This is because by taking a measurement we inadvertantly disturb the system as well. Hence Δx and Δp represent intrinsic uncertainies in the measurement of x and p. Unfortunately this is something that we just cannot avoid. We can only deal in probabilities, so all we can say is that the probability that the electron is here is say 75%. What is the nature of light? Wave ... or particle? If we point a light source (e.g. laser pointer) at a double slit, we observe an interference pattern similar to what we would observe for water waves. If we tap water in a tank in the centre we see concentric circles of crests and troughs travelling outward from the point of agitation. If this wave hits a barrier with two holes in it, two new waves form. When they meet we observe that in some places the crests of each wave coincide and amplify. This is called constructive interference. On other points, the crests of one wave and the troughs of the other wave coincide and cancel each other. This is called distructive interference. The resulting pattern is an interference pattern. If light was a stream of particles, such as bullets from a gun, we would expect a much simpler pattern. The distribution of the bullet would simply be the sum (blue) of the distributions of bullets going through slit 1 (red) and 2 (green), respectively, as shown in the figure to the right. 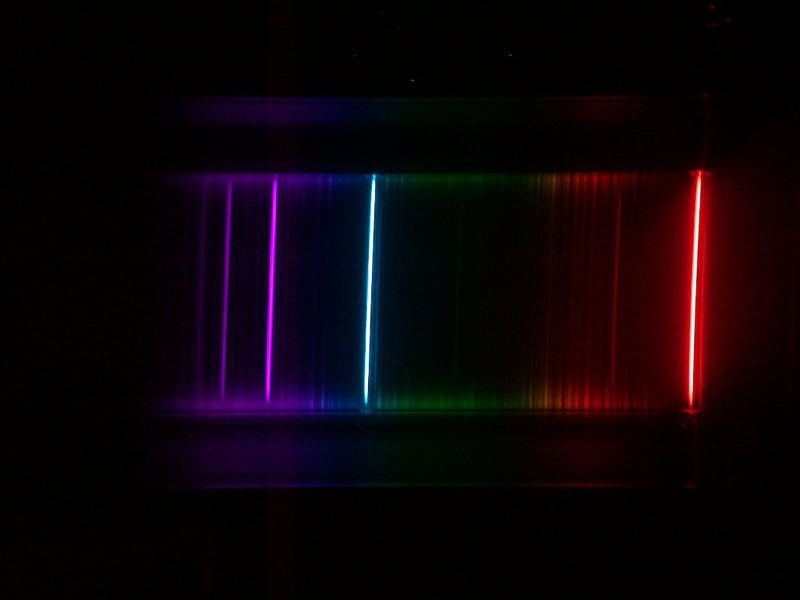 So Young's double slit experiment conclusively shows that light is a wave, or does it? When light is shone on some metals, it produces a small current. This is rather easy to explain: the light carries energy, and if there is enough of it, it may knock out some of the electrons present in the metal. 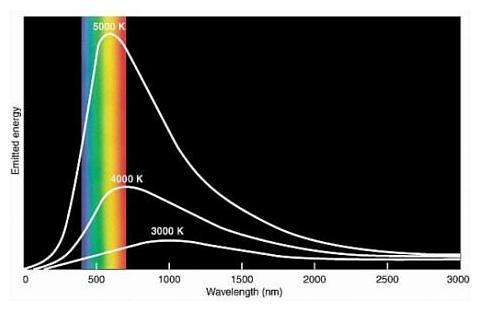 It was indeed observed that the number of electrons knocked out increased with the brightness of the light source, BUT ONLY for light of certain colours (frequencies). Below a certain threshold frequency, no electrons were observed, no matter how bright the light source. This didn't make sense at all! If light was a wave then the energy of light should depend only on its brightness, not its frequency. 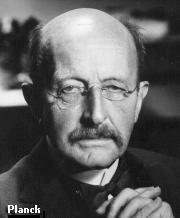 Einstein's genius: If we assume that light is a stream of discrete parcels of energy (photons), and the energy of these photons is proportional to the colour of the light, we can easily explain the observed threshold – photons below a certain frequency don't have enough energy to knock out any electrons. 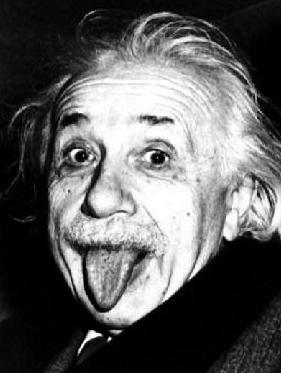 This simple explanation earned Einstein the Nobel prize. 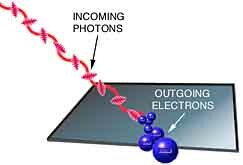 The photoelectric effect is exploited in many applications from solar cells to charge-coupled devices that record images in digital cameras. Try our photoelectric effect simulator. have been shown to exhibit both wave and particle-like behavior.